No need to wait for an estimate! Don't compromise the ideas you have in mind for your projects because of limited printing options. You can widen your choices with custom printing. This allows you to mix and match different printing options for your projects. With UPrinting's custom printing, you can choose from a wider range of sizes, paper types and folding options. Order from 250 up to 100,000 pieces and have them ready for shipping in 2 to 6 business days! Just navigate our calculator and upload your file to place an order or you can use our easy design tool to get started. 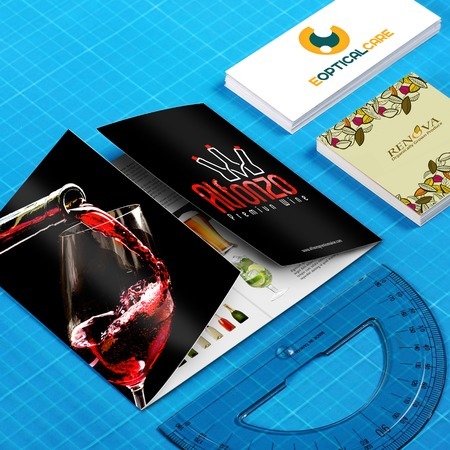 We also offer a free file check to make sure that your designs are print-ready. For more questions and suggestions about your design or job order, please don't hesitate to call us at 1.888.888.4211 or click the Live Chat button above and one of our customer service representatives will be happy to assist you! When placing printing orders online, one of the things that customers would always look at is the printing quotes. Printing quotes would give you an..
Printing refers to the process of transferring text and images from a design file to a paper or card stock. Printing companies use two famous models..